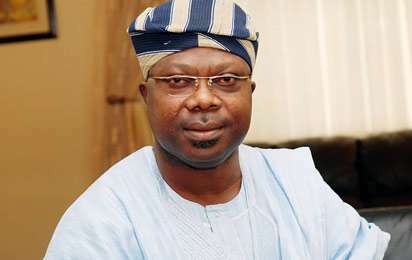 A former deputy governor of Osun State, Mr. Iyiola Omisore, has said the Peoples Democratic Party in the state will unite to stop the ruling All Progressives Congress from destroying the state. Omisore, who said this at the factional secretariat of the PDP in Osogbo on Thursday, stated that the crisis rocking the party would be resolved within the next one month. Speaking during the distribution of food items to party members, the former deputy governor said he was not interested in fighting any member of the PDP, stressing that all members of the opposition party should come together to rescue the state from the grip of the APC. He said, “We will get our acts together to face that monster and destroy it before it destroys Osun. “After our congress in January, the PDP will come under one umbrella and from that point, we will take off fully. Don’t fight anyone. Let’s preach the message of peace and face our common enemy. According to him, the PDP will continue to reach out to the people of the state, especially those in the rural communities, to remind them of the achievements of the party when it was saddled with the responsibility of leadership of the state.